Somewhat conveniently coordinating with the announcement of The Division motion picture, Ubisoft has confirmed that the Tom Clancy’s The Division – Underground expansion is finally available on the PS4. So if you picked up a season pass long ago (or are willing to purchase it a la carte), PS4 players can now get their first piece of paid content on their platform. Xbox One and PC players have had access to Tom Clancy’s The Division – Underground since June 28th. There’s 2 more major expansions scheduled for release this year across all platforms, although hopefully there are enough players out there to make use of them. Today, Ubisoft announced that the Underground expansion for Tom Clancy’s The Division is now available on PlayStation 4 computer entertainment system. Underground is available with the Season Pass or can be purchased separately for $14.99. In the Underground expansion, agents must fight a war on two fronts. Below the streets of New York, enemy factions are regrouping and preparing a large-scale attack. Players will confront these threats with up to three friends as they explore randomly generated dungeons comprised of subways, tunnels and sewers and recover powerful loot. While in Hell’s Kitchen, the Dragon’s Nest Incursion offers the biggest challenge to date, where the Cleaners are developing a devastating new weapon and have set their sights on the Base of Operations as their first target. FireCrest – Set enemies ablaze with this offensive gear set. Reclaimer – Boost the entire group with this ultimate support set. 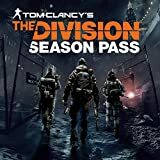 For more information about Tom Clancy’s The Division, please visit thedivisiongame.com.